Takao Tanabe was born in 1926 in the small fishing village of Seal Cove on the northern coast of British Columbia, then a largely Japanese-Canadian community. In 1937, at the age of eleven, Tanabe moved with his family to Vancouver – however, in 1941 the Canadian government introduced restrictions on Japanese-Canadians and Tanabe and his family were relocated to an internment camp in the Kootenays. Tanabe left for Winnipeg to work, and in 1946, interested in commercial art, began courses at the Winnipeg School of Art. The principal, artist Joseph Plaskett, became an important friend and mentor for Tanabe. In 1950, Tanabe traveled to New York and enrolled at the Brooklyn Museum of Art School, as well as taking drawing classes from Hans Hofmann. During this period, Tanabe established himself as an abstract painter. Returning to the West Coast in 1952, Tanabe settled in Vancouver - he was well received, and exhibited works at the Vancouver Art Gallery. Awarded an Emily Carr scholarship to travel to Britain, Tanabe continued his studies at the Central School of Arts and Crafts in London. In 1957, Tanabe would exhibit again at the Vancouver Art Gallery, this time with a one-man show. By this time, he was exhibiting across Canada, as well as internationally – at the Bienal de São Paulo and in Milan. A Canadian council grant in 1959 allowed Tanabe to visit Japan, where he took instruction in calligraphy and sumi-e painting. Although beneficial, the trip affirmed his affinity for the West Coast. Returning to Vancouver in 1961, Tanabe taught at the Vancouver School of Art and became head of the Commercial Art department. He continued with abstraction, which was gestural from the 1950s into the early 1960s, then later in the 1960s, concerned with geometry and hard-edge colour. In 1973, Tanabe continued his teaching career with a position at the Banff School of Arts (now the Banff Centre). He brought new vitality to the painting program in Banff and turned his attention to the landscape there, developing a well-known series of prairie paintings. In 1980 the Tanabe gave up teaching to paint full time. He took up residence on Vancouver Island, exploring both the eastern Island and the channels, fjord, passages and inlets of the northwest coast, and painting stunning and landscapes of sea, sky and land. He is well known for his transcendent light and atmosphere, which fluctuates from delicate and misty to stormy and brooding. Tanabe has shown extensively, both in Canada and internationally, from Tokyo to New York. In 2005, his retrospective, organized by the Art Gallery of Greater Victoria and the Vancouver Art Gallery, traveled across Canada to the McMichael Canadian Art Collection in Kleinburg and the Art Gallery of Nova Scotia. 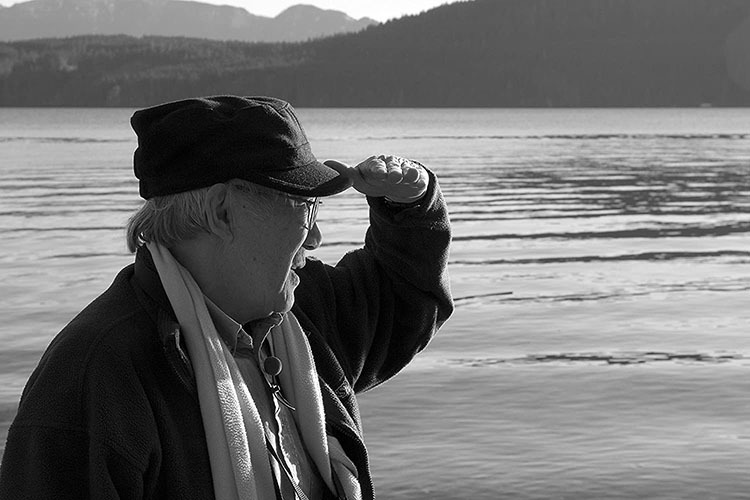 He is recipient of many honours, including the Order of British Columbia, the Order of Canada and the Governor General’s Award in Visual and Media Arts.